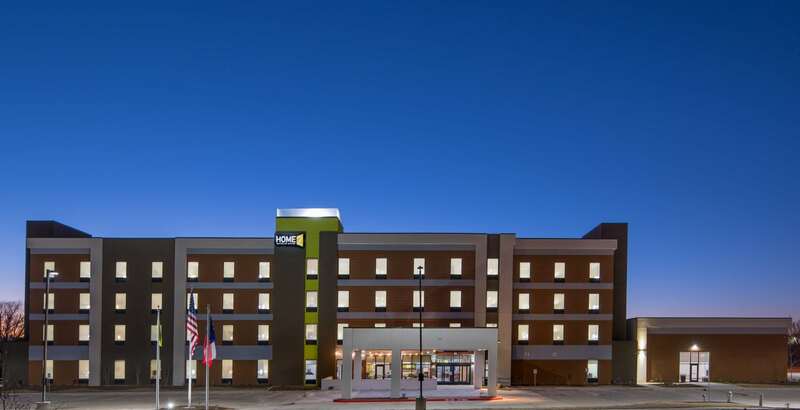 A new hotel, Home2Suites by Hilton Dallas-DeSoto, managed by Seva Hospitality, recently opened off I-35 in DeSoto. The new hotel features 97 suites and value-tech-focused, eco-conscious amenities. 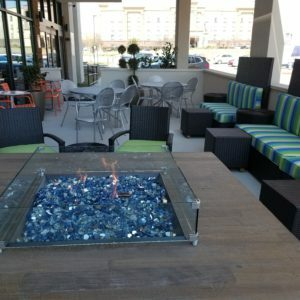 Home2 Suites by Hilton Dallas-DeSoto, 1300 E. Center Park Blvd., is especially geared to younger travelers who are looking for a way to enjoy many comforts of home while on vacation. With its spacious rooms and suites plus a range of value amenities, Home2Suites also offers an extended-stay lodging option to travelers to the Lone Star State. Home2Suites Dallas-DeSoto offers all-suite accommodations with fully equipped kitchens and modular furniture that is flexible to accommodate guests’ needs. Cooking and work spaces are available in all suites. 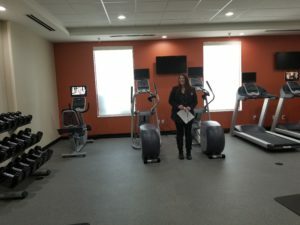 The hotel features complimentary Internet, inviting communal spaces, and trademark Home2 Suites amenities such as Spin2 Cycle, a combined laundry and fitness area where guests can multi-task, working out while their laundry dries. A complimentary daily breakfast at the hotel’s Inspired Table™ includes more than 400 potential combinations, such as cereals, artisan breakfast sandwiches, waffles, and yogurt. 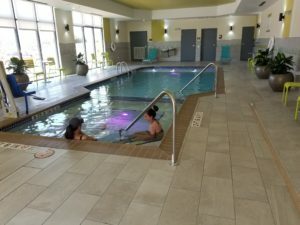 Home2Suites guests also enjoy a heated indoor pool and spa, as well as an outdoor saline pool. Guests are welcome to bring their pets along for the trip. All rooms are customizable with moveable furniture, a full kitchen, sofa bed and free WiFi. HDTV offers premium channels in each room. The one bedroom suites provide additional space with a wall separating bedroom from kitchen and living areas. A 24-hour Home2Mkt has snacks or forgotten travel essentials available, while a 24-hour business center offers free WiFi and printing. An outdoor saline pool adjoins an inviting patio are. Guests wanting to cook outdoors have access to a grill. Home2Suites Dallas-DeSoto participates in Hilton’s award-winning customer loyalty program, Hilton Honors. Hilton Honors members who book directly through preferred Hilton channels have access to instant benefits. They include a flexible payment slider that allows members to choose nearly any combination of Points and money to book a stay, an exclusive member discount, free standard Wi-Fi, as well as digital amenities that are available exclusively through the industry-leading Hilton Honors app. The app allows Honors members to check-in, choose their room, and access their room using a Digital Key. Parking is free at Home2Suites by Hilton Dallas-DeSoto. The hotel also features 7,500 square feet of flexible event space for up to 250 people. To book an event there, call 972-228-0400.